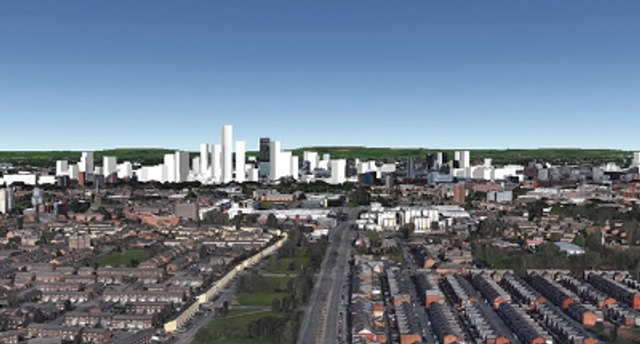 Manchester's skyline is now set to start leaping forward unlike ever before. The CIS Tower was top dog for a remarkably long time, 44 years, until in 2006 Beetham Tower overwhelmed it. At 169m (554ft) it produced a lopsided skyline for the city; a skyline pinned at one end by the CIS Tower and at the other by Beetham Tower. The international financial crisis of 2007/8 put pay to competitors for Beeetham Tower. But time moves on, as has/is the property market and the skyline of Manchester city centre. In the article detailed, some of these projects won't happen, but many will, it will be fascinating and exciting to see history unfold. Blue-sky thinking so to speak.